Let’s say you’ve had a long stressful day, and you’re working on your bills after dinner. Suddenly the numbers start to swim in front of your tired eyes, so you can’t see them clearly any longer. What do you make the blur mean? You may think “Oh, no! I’d better go visit the eye doctor — I probably need glasses, just like the other women (or men) in my family.” Maybe, and maybe not. Is it possible your over-worked eyes just need a rest? What if you made the blur mean “My vision has had enough of peering at numbers, and my brain needs a break from figuring things out.”? You decide to go for a walk around the block to clear your head. You meander through the neighborhood, saying hi to a couple of folks also out for a stroll. You’re swinging your arms and enjoying the fresh air, having forgotten about the bills for now. They’ll be there when you return home. When you go back inside, you are pleasantly surprised at how relaxed you feel, and how much clearer your vision seems to be. You tackle the remaining bills with renewed energy, finishing paying them with a sense of satisfaction, and no blur. Blur is one of the few ways your eyes and visual brain have to tell you they’re not happy with what you’re making them do. If you automatically make the blur mean “I must need glasses (or stronger glasses)” or “my eyes are getting old and not working right any longer”, you may be missing the true message. Since your eyes can’t hold up a sign to tell you what’s wrong, they stop functioning as well. A child often stops seeing as clearly after a trauma he or she literally doesn’t want to look at — for more on that, see this article. Instead of making the child’s blur mean she needs glasses, maybe it means she needs help in standing up to that scary bully! You may be long past childhood, yet the same emotional principle behind a child’s apparent vision decline could apply to you, too. If your vision is getting more and more blurry at work, don’t automatically make this mean you need glasses, without examining the other possibilities. Perhaps your eyes don’t want to look at how soul-numbing your job has become. Glasses won’t fix that. 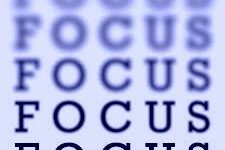 Most people take their vision for granted, and only pay attention to it when there’s a problem. Send some appreciation to your hard-working eyes now, who are seeing the best they can for you, trying to follow your instructions. 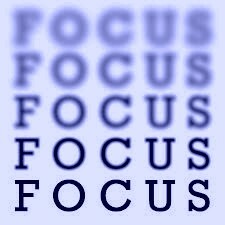 If you think “I don’t want to look at this!”, your visual brain may be trying to carry out those orders and make it blurry! Investigate what may be behind the blur, before making it mean your vision is failing. Your vision might be doing exactly what you’re telling it to do. Thanks for the encouraging words Nancy. I have a question, please. I used to be hypermetropic but now I can’t see far and I can’t see close. What is this condition called? Should I do exercises for both hypermetropia and myopia? I find it a bit confusing. Thanks for your help. Daniela, think of the purpose of any eye exercises, rather than doing them blindly (!). 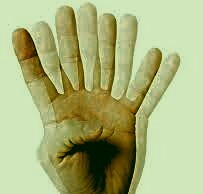 Palming is to relax your visual system, for both far and near, for example. Practice looking both far and near in a gentle way. I don’t know of a name for combined myopia and hypermetropia, and that doesn’t matter as much as how it feels. I’d like you to have joy in seeing at all distances, not be afraid of it, angry about it, etc. which will only jumble up your visual energy. If parts of you are feeling “Yes I want to see! No I don’t!”, you’re fighting yourself. Thank you Nancy for yet another interesting post. I have so much work to do, to understand why my eyes/mind doesn’t want to see. Daniela, good for you for your awareness. I’d advise being gentle with yourself, rather than criticizing yourself for not remembering, or not seeing perfectly at all times. 🙂 Knowing you want to see clearly NOW, whatever the past held that was hard to look at, may take the pressure off. And as memories do come up, you know you have the wisdom and tools to handle them. That was then, this is now. Thanks for your thoughts, and have a great day yourself. Previous Previous post: Are You Resisting Your Experience? Next Next post: What Don’t I Want To See?